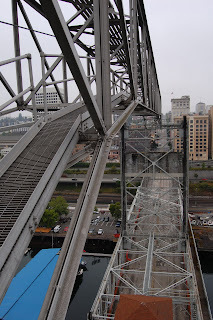 Here is another view of the Murray Morgan Bridge in Tacoma. I traversed the upper structure that was added well after the original construction. I believe its purpose is to carry communications and power cables across the span, something that is not otherwise possible with this bridge design.